Mitsubishi Motors in the UK has handed two 4x4s over to volunteers in Somerset to help with the flood relief effort. Somerset County Council needed more vehicle support and approached Mitsubishi’s UK headquarters in Cirencester, who were happy to provide two L200 pick-ups for as long as needed. The County Council will pay for insurance to enable volunteers from the Flooding on the Levels Action Group (FLAG) to continue their good work. 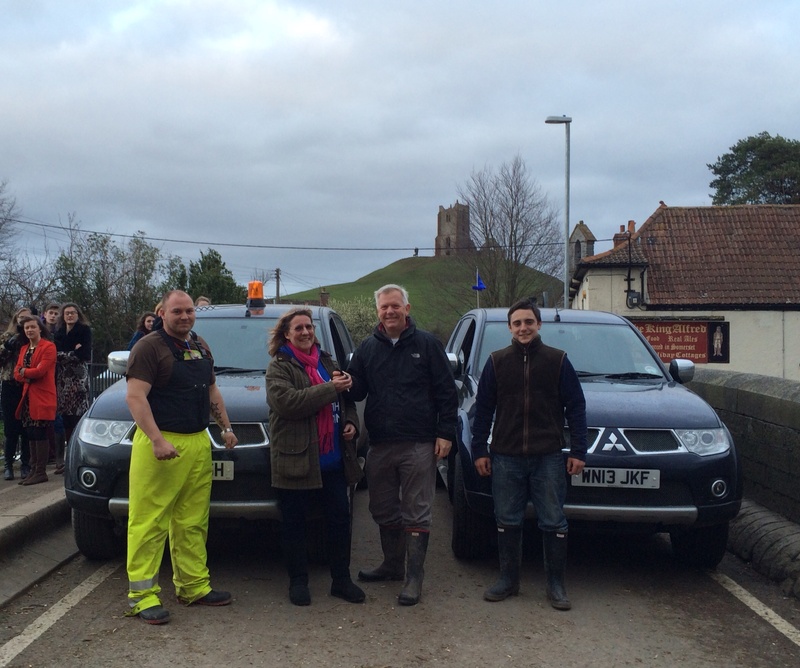 The vehicles will be used by volunteer co-ordinators Tim Holmes and Stuart Smith, who have been working in Burrowbridge and Moorland since flooding began. Councillor David Fothergill, Local Member for Monkton & North Curry, said: “We’ve already helped source boats and amphibious vehicles to provide a lifeline to people in Somerset whose homes have been cut off by floods. Heather Venn, Chair of FLAG, said: “I’m delighted these vehicles have been provided to help Tim and Stuart in their vital co-ordination roles. This entry was posted in 4X4 Car, News and Views and tagged flood relief, flooding, mitsubishi, mitsubishi car leasing, somerset by David Petherick. Bookmark the permalink.